China’s children’s channel CCTV-14 has acquired season one and two of Endemol Shine Group’s Mr Bean The Animated Series. 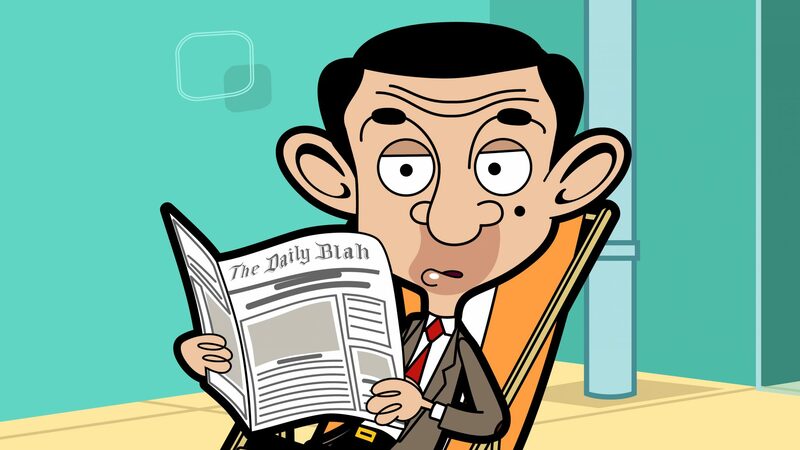 The deal, negotiated by Endemol Shine International’s sales executive for Asia, Jasmin Goh, provides CCTV-14 with 104 episodes of the animated hit which features the voice of Rowan Atkinson – the star of the original live-action series of Mr. Bean. Atkinson remains involved in the creative direction of the animated instalments of Mr. Bean, which sees the toon and his teddy bear embark on all new adventures. CCTV-14 runs across China, Hong Kong and Macao. Mr Bean The Animated Series is produced by Endemol Shine UK company Tiger Aspect Productions and distributed globally by Endemol Shine International. The series is currently in production for a third run which will air in 2019 on CITV in the UK and across international markets on Turner’s Boomerang (as well as other Turner Kids channels in select markets). Turner has acquired season one and three for TNT Serie in Germany, Austria and Switzerland, while SRF in Switzerland has taken season one and two. In France, following the success of the first season, France 3 has picked up seasons two and three of the hit procedural series. Produced by Red Arrow’s Fabrik Entertainment for Amazon Studios, Bosch is the longest-running Prime Original and has been greenlit for a sixth season. Based on Michael Connelly’s best-selling novels, the one-hour series stars Titus Welliver (Lost) as homicide Detective Harry Bosch, Jamie Hector (The Wire) as Detective Jerry Edgar, Amy Aquino (Being Human) as Lt. Grace Billets. It was developed for television by Eric Overmyer (The Wire). MADD Entertainment has struck deals with a string of Latin American players for My Little Girl. Mega TV (Chile), Telefe (Argentina), Latina TV (Peru), Canal 10 (Uruguay) and Unitel (Bolivia) have all licensed the title. My Little Girl follows Öykü, a clever eight year old girl brought up by her aunt, who goes on to unexplainably vanish only leaving her with the address of Demir, the father she never knew. “All the other LatAm Countries are on the way to acquire this title. In a month, I think we will be closing all our deals in the region. As a distribution company, we are so lucky to have this title in our catalogue. Having Medyapım and Ay Yapım as shareholders, MADD will always have this lucky positioning in the market” Ateş İnce, MADD’s managing director, said.